It’s crunchtime for Christmas. Time is running out. You want to get that perfect gift but some people are just hard to buy for. We’ve all been there. So I’m going to swoop in and help save the day. 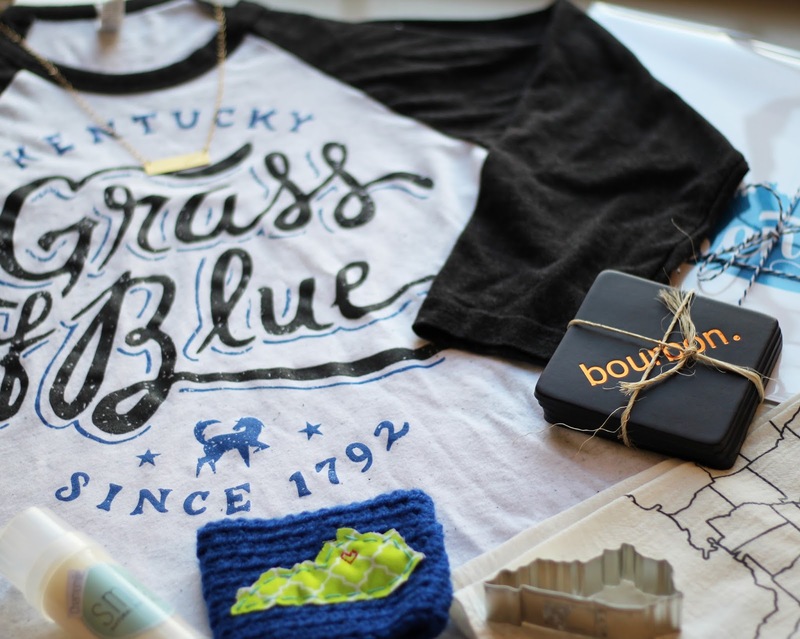 If you’re looking for the perfect gifts for your Kentucky friends, look no further. 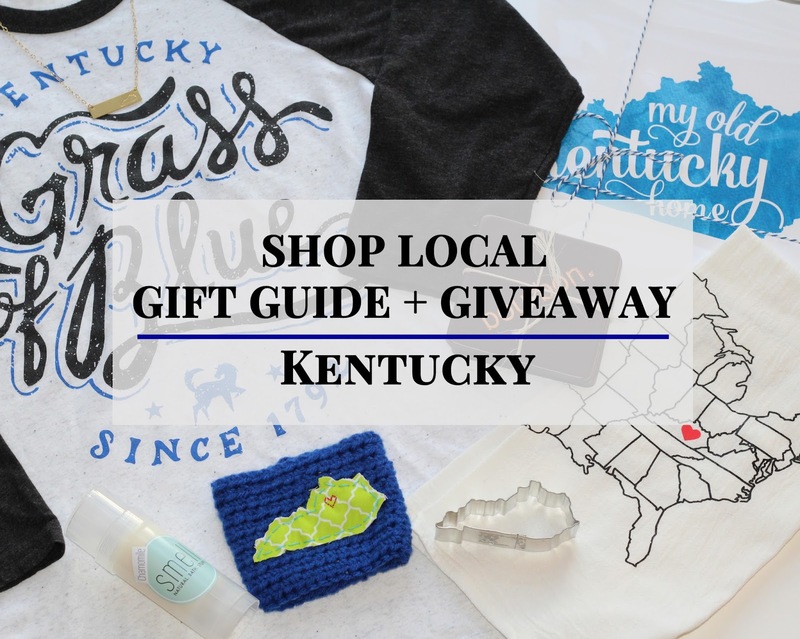 I present to you the Shop Local Gift Guide and Giveaway!!! 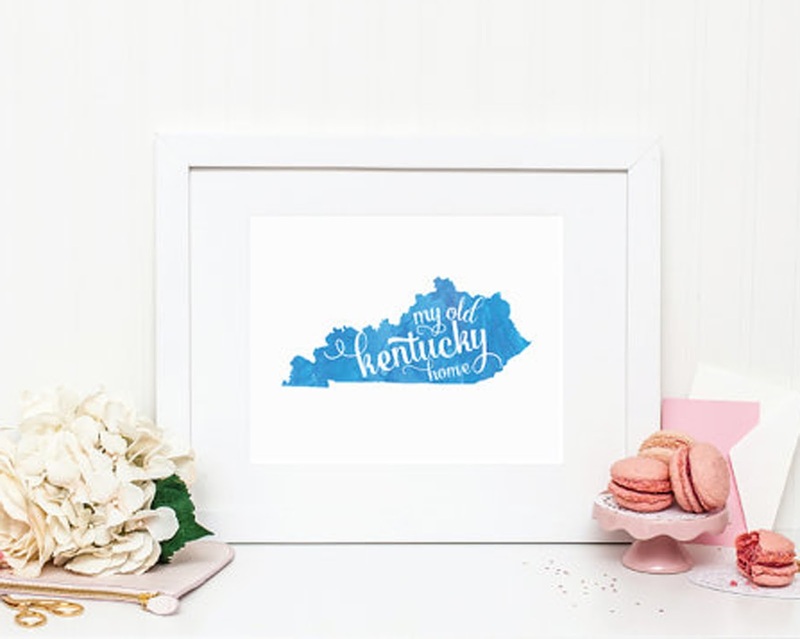 In the past six months, I’ve really had the opportunity to connect with local shop owners from eastern and central Kentucky. 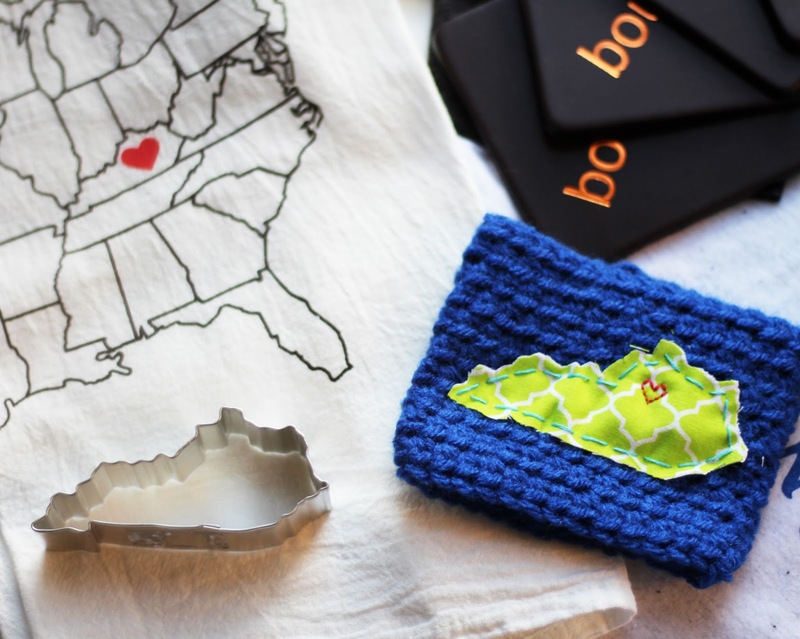 These shop owners not only create awesome products, but they’re pretty awesome people too! So I wanted to share some of my favorite items from my favorite local shops just in time to help you complete your Christmas shopping. Oh, and each of my favorite shops have come together to give one lucky reader a special holiday prize!!! 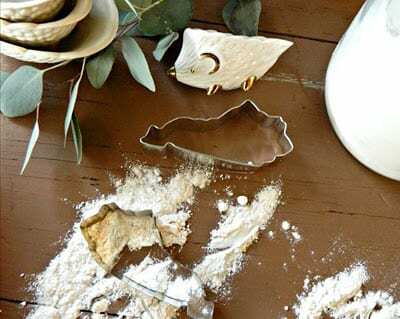 Each item featured here (or a similar one) is part of one big giveaway–be sure to enter at the bottom of the post before you leave:) The gifts are perfected to keep for yourself or to wrap up for your friends. 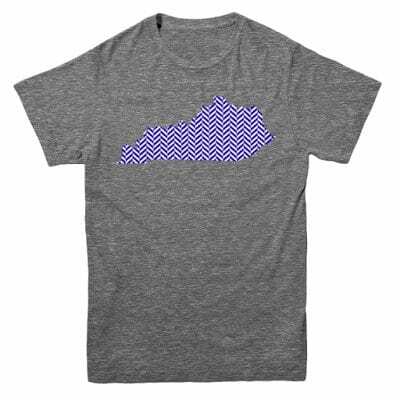 I’m a brand rep for Kentucky Brewed Tees because I simply love their products. Every shirt I get from here is soft as butter. They’re the kind of shirts that you can wear all day and then fall asleep in at night. This Kentucky Herringbone Tee is a stylish addition to any Kentucky fan’s closet. I have several pieces of Lucky Peanut Jewelry, but this dainty bar necklace is my new favorite. 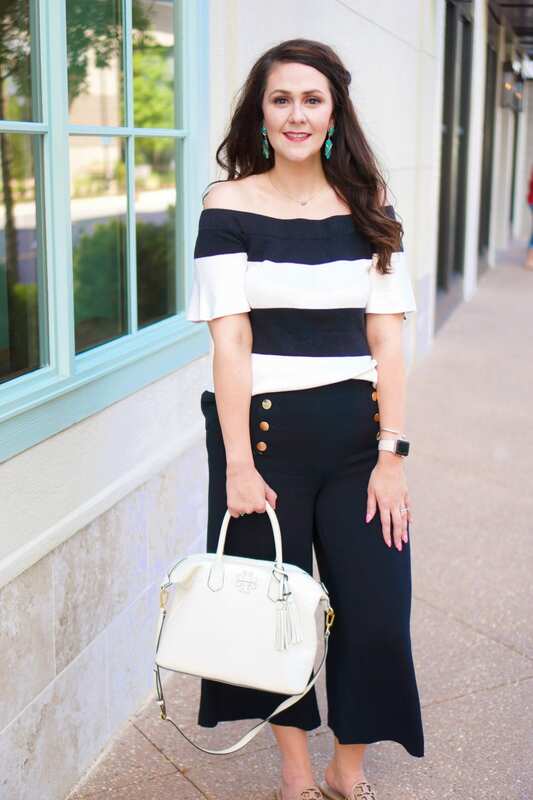 It’s such a versatile piece–it can be worn alone for someone who favors a simple jewelry look, or it can be layered with a longer necklace to make more of a statement. And bar necklaces are so on trend right now! 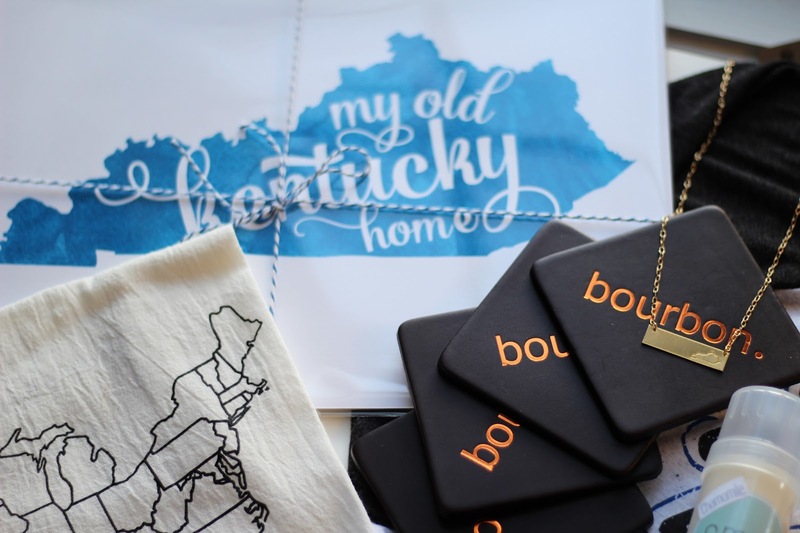 This set is a great gift idea for the bourbon lover in your life! These coasters are 4″ square solid English Bridle leather coasters. 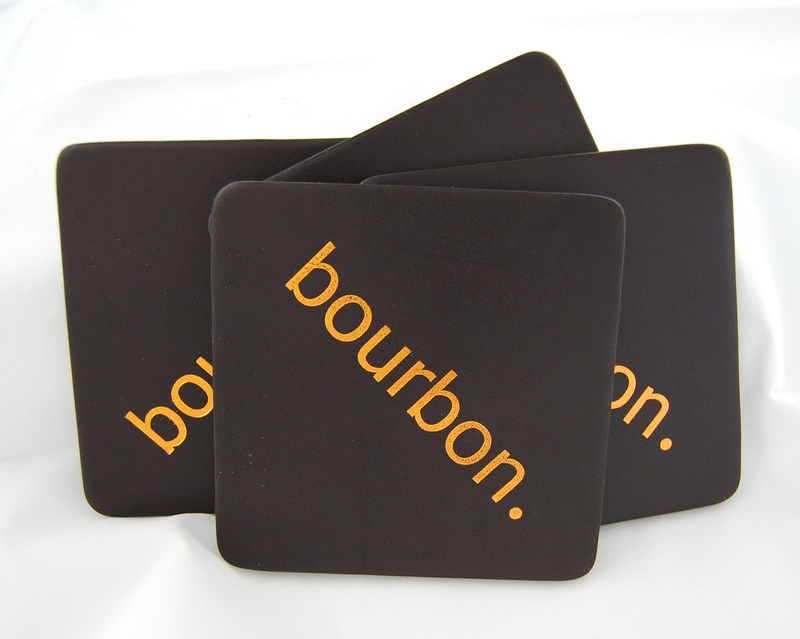 The design is imprinted on the coasters in copper foil and looks so swank. I love how classy but cool these are! If you’re searching for a fun gift for the cook/baker in your life, look no further. 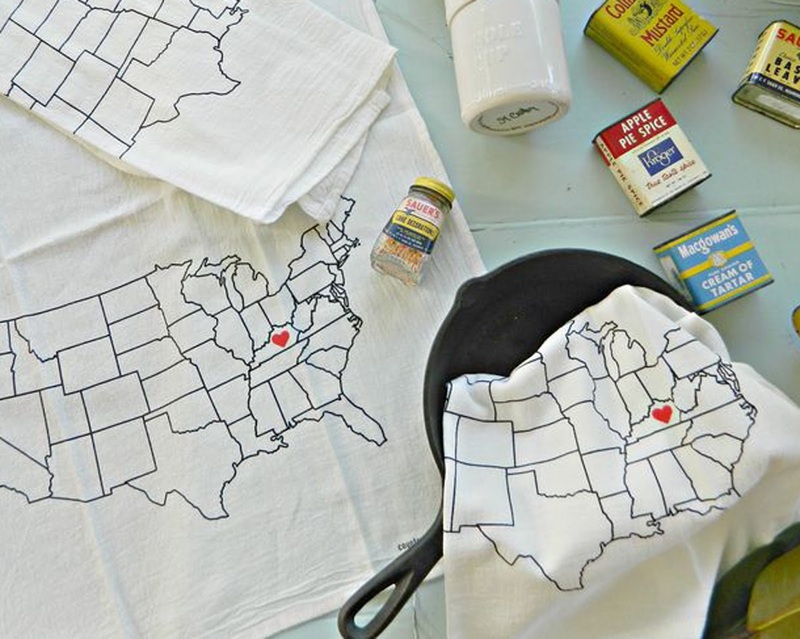 How adorable is this flour sack dish towel and Kentucky cookie cutter? I really like the idea of a flour sack dish towel as I grew up hearing stories of my mamaw making things out of flour sacks, including clothes, so this gift is nostalgic for me. Together, the two make the perfect gift set for someone who feels most at home in the kitchen! 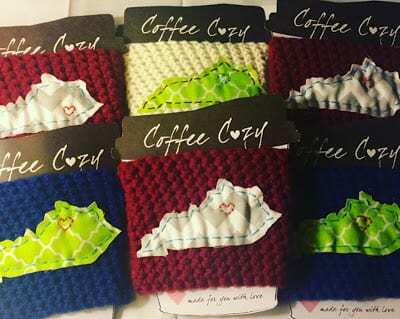 Coffee cozies are currently all the rage, so of course I had to share they coffee cozies from Kentucky Yarnbirds. If you have a coffee lover in your life, then this is the gift for them. They’re also a great gift idea for the office gift exchange. The cozies are custom-made to order. You can select from 18 color choices and 4 fabric choices, so there’s a little something for everyone. I’ve wanted to try a lotion stick for a while, so when I ran across these at Market 301, I had to try one out. I picked up the lavender to use before bed at night, but they all smell wonderful. It’s completely different from your typical lotion experience. Instead of being all runny and gooey, it’s consistency is like a deodorant stick. Also, if you tend to carry lotion with you, these are less messy than having a tube of lotion come open and get all over your stuff. 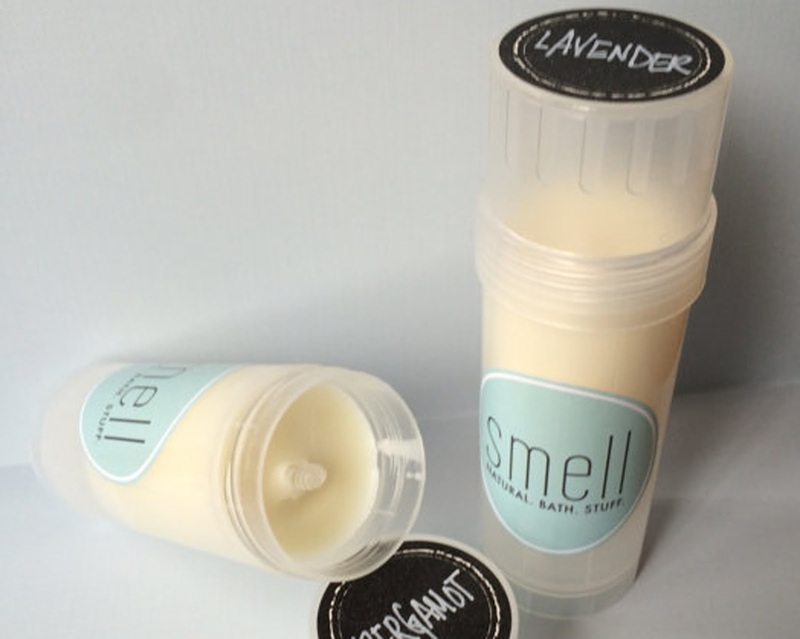 If you have someone who loves bath and body items on your shopping list, then this is a great gift for them! Mirabelle Creations was another Market 301 find that I just happened to come across! MC has beautiful prints, and I especially love her state prints. 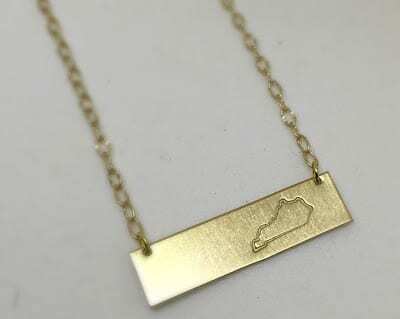 While I’m partial to the Kentucky one, of course, she has one for each of the states and you can even change the color of the state. I love this gift for those who live away from home and need a beautiful reminder of a state they love. Some of the shops listed above are Etsy shops, so you can earn cashback if you use Ebates! You can join now by clicking here. If you prefer to shop in person, many of these vendors will be at the next Market 301 hosted by Love Lexington, which is a special Holiday Edition. It will be held at Manchester Music Hall in Lexington on Friday, December 11 from 6:00 to 10:00 p.m. and on Saturday, December 12 from 10:00 a.m. to 2:00 p.m.
For some other cool Shop Local gift guides, check out The Lady Lawyer’s Gift Guide for the Kentucky Lover, The Mimosa Memoir’s Kentucky Lovin’ Gift Guide, and Girl Meets Lex’s comprehensive guide for where to shop. 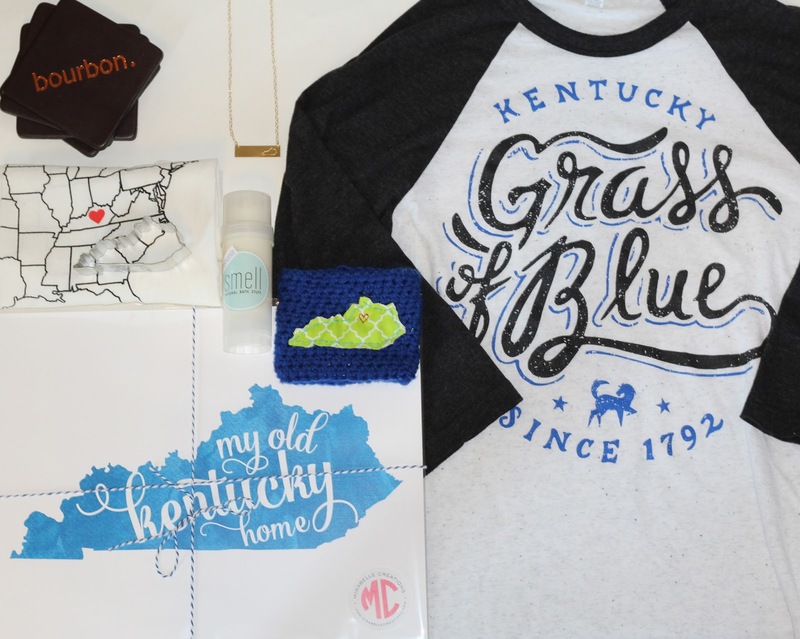 And now for the fun part–a GIVEAWAY!!! 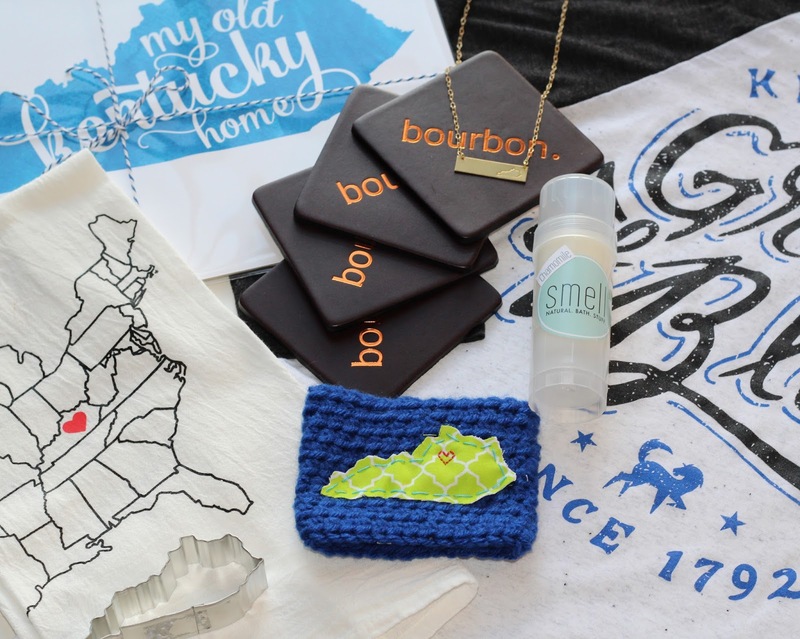 The Shop Local Gift Guide Giveaway is for one (1) prize pack consisting of the following: one (1) Kentucky Brewed Tees shirt of winner’s choice, one (1) Lucky Peanut Jewelry Kentucky bar necklace, one (1) flour sack dish towel and one (1) Kentucky cookie cutter from Miss Molly Vintage, one (1) lotion stick in Chamomile from Get Smells, one (1) coffee cozy from Kentucky Yarnbirds, one (1) 11 x 14″ state print of winner’s choice from Mirabelle Collections, and one (1) 4-piece bourbon coaster set from Bourbon Ware. You can enter below. GOOD LUCK!